Discussion in 'General Smartphone/Handheld/Wearable Discussion' started by Stabber, Dec 5, 2018. Fighting games have been a favorite for a lot of us, and for obvious reasons. There is something magnetic about having a fist-fight against someone, if only virtually. But have you ever thought how much fighting games have evolved since the first time you played them as a kid? The history of this genre is long. Let’s take a brief look at the evolution of fighting online games PC. The first game to employ a two-player mode in a fighting game. Fighting games were a very novel idea in the 70s. Arcade games were just starting out, and game developers were still thinking about puzzle games when it came to the design. Heavyweight Champ could be called the first popular fighting game, which kick-started the genre. It was a simple boxing game where you have to punch your enemies. People loved it when it was launched but soon wanted more. With the rise of Bruce Lee, kung-fu became a very popular fighting style; as popular as boxing. Naturally, it found its way in gaming too. 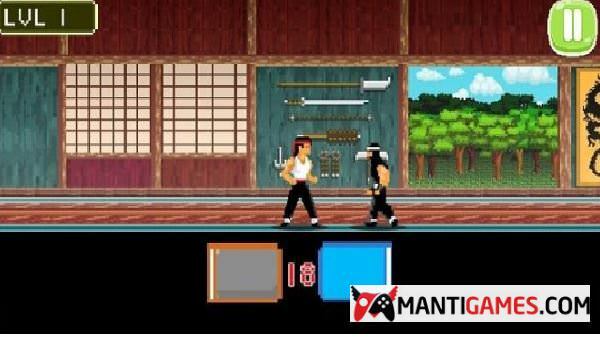 In 1984, Karate Champ was released. This was also the first game to employ a two-player mode in a fighting game. Instead of only relying on punches, the game used both punches and kicks. The history of fighting games could be divided into ‘Before Street Fighter’ and ‘After Street Fighter’. Even though the game debuted in 1987, it was Street Fight II that introduced the elements that would go on to define fighting games forever. Street Fight II was the first game to have multiple playable characters. Earlier, fighting games had only two characters. However, this game introduced an array of unique characters and a unique finishing move for each of them. In no time, the game became a sensation and the most coveted game of that year. A move that was copied in all subsequent fighting games. The unprecedented success of Street Fight II made every game developer see the potential of fighting games. They too wanted to tread the same path, but with something unique. 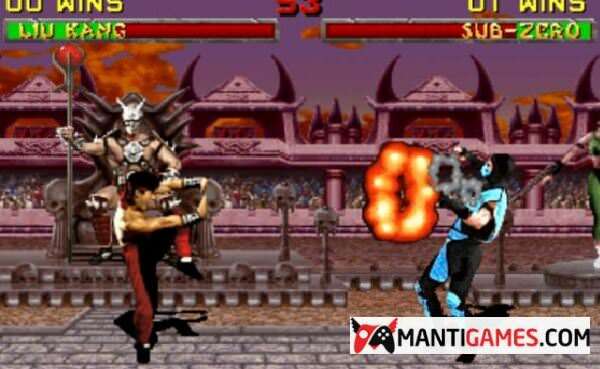 In 1992, Mortal Kombat was released — another game that went on to become a legend. The graphics were the most obviously captivating feature of the game, but players later went on to love the game for its brutal and blood-gushing moves. The parental disapproval of the game only increased its popularity among kids, and Mortal Kombat soon became the hidden treasure of every kid in the 90s. The universal success of Mortal Kombat paved the way for other developers to try the same. This was also the time when graphics were getting digitized. The result was an array of fighting games that are mostly forgotten. But a few games were too big to miss. Virtua Fighter came out in 1993, with 3D Polygon graphics, adding a new dimension to fighting games. In 1994, Battle Arena Toshinden was launched and introduced "true 3D" with the side-step maneuver, a move that was copied in all subsequent fighting games. The same year saw the arrival of Tekken, another franchise that still continues to define the fighting game genre. The late 90s were dominated by either the sequels of existing fighting games or new fighting games trying to copy the original ones. However, an idea crawled into the minds of developers that more complexity means better online games free. Thus, the games became edgier, the moves became more complicated to master, and the gameplay became simply weird. This was met with the disinterest and disillusionment of gamers. Thus, even in 1998, Street Fighter II was more played than the latest games of that year. As the decade was coming to an end, game developers took a different approach. They decided to stop relying on game elements and instead bank on character popularity. Thus, Marvel vs. Capcom was released in 1998, featuring famous characters from both franchises. The next year saw Super Smash Bros. released, which featured all the popular characters owned by Nintendo. This invigorated the genre to quite an extent. The new millennium began with a renewed interest in fighting games. The formula of crossovers proved too valuable to discard, so every developer went after it. SNK vs. Capcom was a hit and spawned multiple sequels. It was followed by Mortal Kombat vs. DC Universe and Super Smash Bros. Brawl. However, the biggest struggle of the early 2000s wasn’t the graphics or the characters; it was the platform. New gaming platforms were being introduced, while the old ones still had numbers. Game developers were torn between their choice of platforms on which they would release their games. Apart from gaming consoles like PlayStation 2 and Wii, even online gaming was rising. And despite the increase in interest in fighting games compared to late 90s, it was still not enough. In the end, it was the established titles that rescued the genre from the dark well of despair. This began in 2009, with Street Fighter IV — the game that made everyone start talking about fighting games once again. The same year, Tekken 6 was released onto the global market. Both of these games sold millions of copies. The sequels of other game titles soon followed, like King of Fighter XIII and Virtua Fighter 5: Final Showdown. The message was clear: fighting games were back in business. Tekken came to the mobile platform as well. Since the start of this decade, established titles have continued to release sequels that have been met with considerable fanfare. 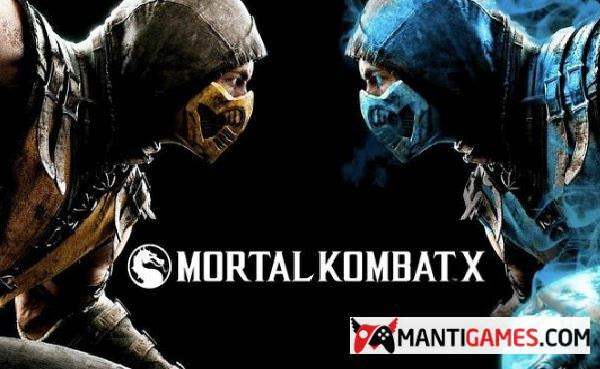 The Mortal Kombat series rebooted in 2011, followed by the popular Mortal Kombat X in 2015 and the upcoming Mortal Kombat II. Tekken released the Tekken Tag Tournament 2 in 2011, followed by the crossover Street Fighter X Tekken in 2012 and Tekken 7 in 2015. In 2018, Tekken came to the mobile platform as well. Street Fighter V was released in 2016, followed by an arcade edition in 2018. Other games found success too. The SoulCalibur series became a fan favorite with SoulCalibur V (2012) and SoulCalibur VI (2018). Skullgirls, released in 2012 through crowdfunding, became a hit too. 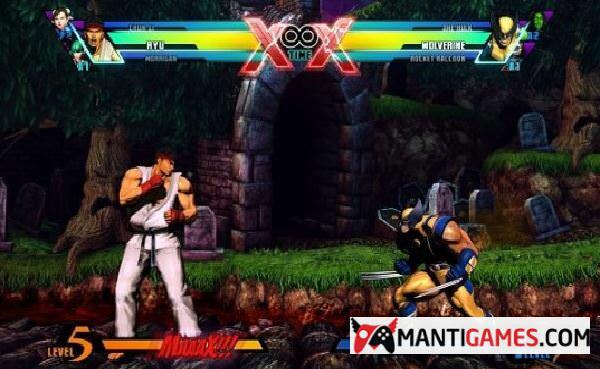 The fighting games genre at our list of all the best free online games - play right now on the browser has always been unique in many ways. While in other genres, developers are too proud to copy the elements from the games of their competitors, we see this time and again in fighting games. But this simple plagiarism has also contributed to the significant evolution of this genre. Every new game had all the good elements of all previous games, thus coming out as the best so far. This continues to this day. If the current trend is any indication, fighting games will continue to see increasing popularity as they move towards mobile devices and continue to improve the graphics. After all, we all love the sound of a K.O. jigwashere, scjjtt, RickAgresta and 2 others like this.